This is awesome, in fact, it’s The Ultimatest. I made the best pre-formatted grocery lists ever created. I made them just for you—and they’re free. Print ‘em out, hang ‘em on the refrigerator door and mark ‘em up before you go to the grocery store. We have comprehensive versions for both meat-eaters and vegetabletarians. 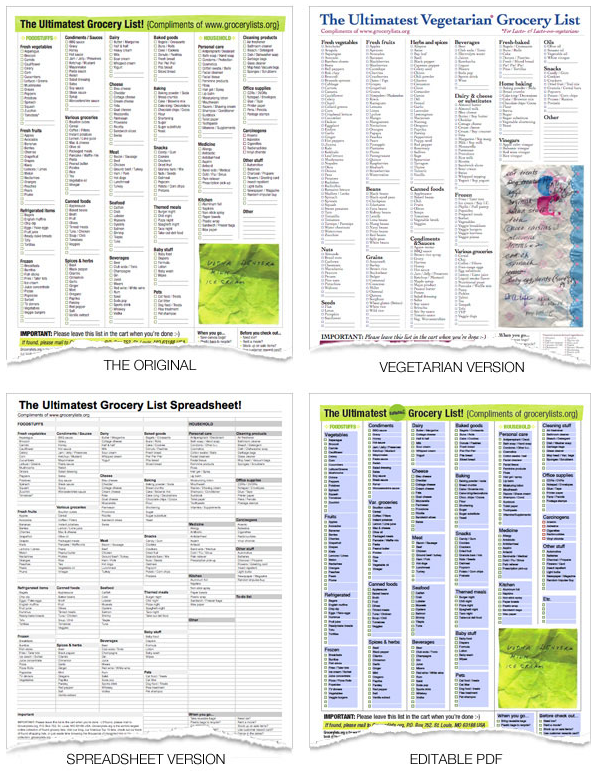 Update, 2011: There is now an editable PDF version as well a a spreadsheet version. Update, 2012: The New Yorker made a list of the 100 best lists of all time and this list is #23!